Sky Advertising offers a wide range of social media and inbound marketing services based on client needs and market assessment. These services are expertly focused on the advertising and PR aspects of social media, website content, search engines, video sharing sites, wikis, micro blogs and blogs. 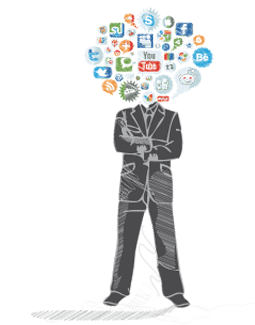 We believe in the power of research and the various channels of social media in designing customized campaigns. When it comes to building an e-marketing and social media strategy, the first step is to ensure consistency between the objectives of the business and the objectives of the communications strategy. At the core of our social media expertise is our passion for engaging and networking with the online community. The inbound marketing team at Sky Advertising is subtle, social, fun, detail-oriented and creative. The team comprises professionals with different backgrounds, experiences and skills in marketing and PR. We believe organic promotion is the most effective and credible tactic in building awareness and humanizing brands. For gathering leads and boosting sales, the most successful tools we use are search engines and the variety of paid advertising on social media.